Professional Lawn and Gardening Care from your local experts. We take great pride in each and every garden we see, no matter the size! Small or large, front or back, we have your needs covered. We custom tailor our approach to best suit the specific needs of your garden, lawn, plants, flowers and much much more. We know gardens and we deliver the best results every time. No job too big or too small. Get a clean, professional result with perfect edging, direction alternations, mowed to the right height and all excess grass and clippings blown away. You can always bet on us for a clean, professional mow. Including edging and direction alternation, it’s cut to the right height and clippings and excess blown away. Have you been dreaming of a garden makeover, but just don’t have the time? We are here to help! We do everything from weed removal to preparing garden beds to planting brand new plants and flowers. We can offer you expert advice and even supply the plants and flowers for you. We love designing, building and bringing your outdoor areas back to life. Whether you’re after a complete new look, a freshen up, a new entertainment area, a zen garden, the need to create more space, or for some extra privacy in your home, we have you covered. Does a peaceful and sophisticated look for your businesses garden area sound like bliss? You’ll be glad to know, we can do that too! Everything from trimming back trees, plants, rose bushes, weed removal and preparing garden beds. We are always happy to offer sound, expert advice on all things plant, flowers and more suited to your specific gardening needs. We can even supply the plants for you! Dreading the weeding? Let us do it for you! We enjoy all aspects of gardening from weeding, removals to preparing garden beds, planting brand new plants, flowers or even a veggie patch? We can also supply the plants, seeds and flowers for you. 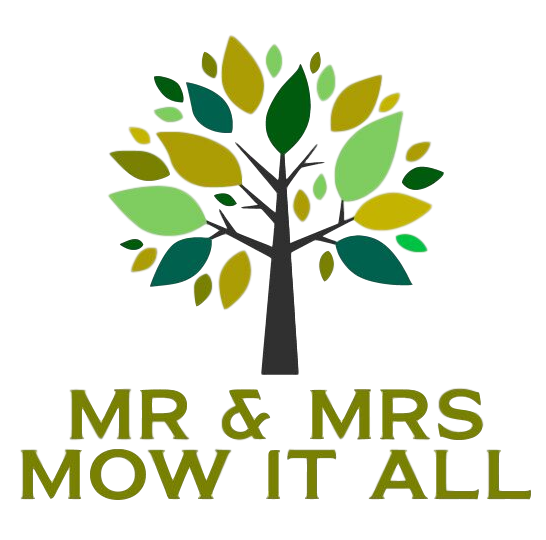 Making the choice of bringing Mr and Mrs. Mow it all to my garden for a makeover and pressure clean in an aid to add value to my home, presale, was the smartest decision I could have made, not only did it increase the value substantially but my home sold on second viewing. Highly reccomend. We’ve told you how good we are, you’ve read testimonials from our clients, you’ve seen pictures of work we’ve done. The only thing left to do now, is book a job and find out for yourself.